Well, when I started this blog I wouldn’t have guessed that it’d be Lucy Wainwright Roche (LWR) who’d be the first artist to get two entries – but it is. This is her soon-to-be-released second album bought at a gig four days ago when most of her between-song chat was about her dog rather than plugging the product! An interesting thing is that it appears to have been done without the intervention of a record company (no label but the artist’ s own website and – I’m presuming here – via digital download through Amazon and i-Tunes in due course). The economics of this shift are set out in a really interesting way by former Talking Head David Byrne in his fascinating book How Music Works (2012). The physical CD has 11 tracks – probably a little more polished production than LWR’s debut but with same thoughtful instrumentation and great harmonies. Mary Chapin Carpenter guests on ‘A Quiet Line’ and Bobby Hecht and Colin Meloy feature once apiece on two others. There’s one co-written song and one cover – all the rest are by LWR and display her trademark warmth and wit – and clear, pure voice. So far my favourite (possibly because I heard it live) is ‘Last Time’. The reason I didn’t get around to posting anything a couple of days ago is that I was watching the eponymous Lucy Wainwright Roche perform at The Stables theatre, Milton Keynes, as opening act for her father, Loudon Wainwright III. And very fine they both were too – engaging, witty performers (Lucy threw in Springsteen’s Hungry Heart as an audience singalong!). 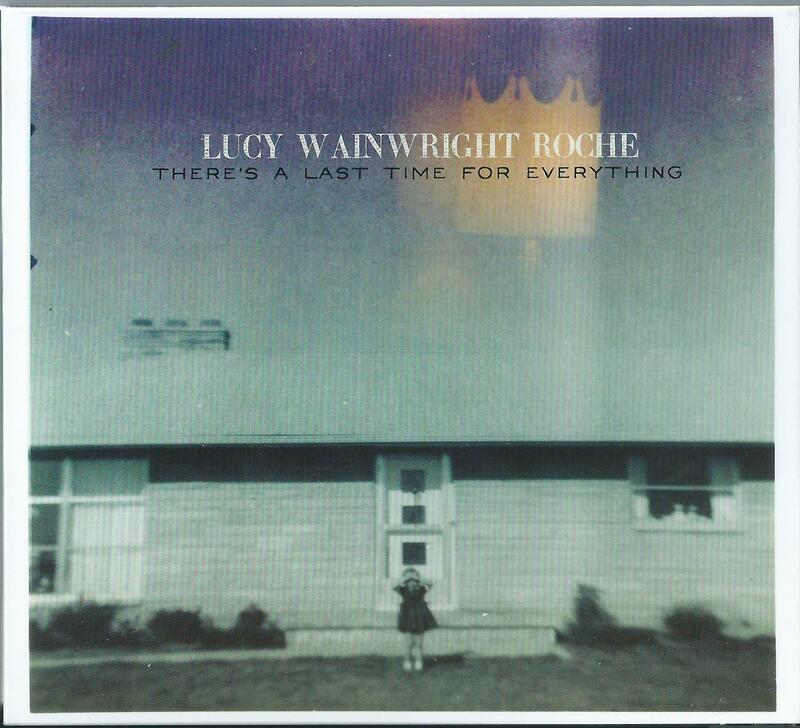 At the gig I bought her not-yet-formally-released follow-up album (and another made with her mum, Suzzy Roche (of The Roches) but haven’t really had time to listen to them yet, so I’ll feature Lucy first. Along with Blair Dunlop’s Blight and Blosson (featured last month), this was, absolutely one of my two favourite albums of 2012.
oh the very worst part is i will always love you anyway”. *btw, the favourite she didn’t include live was the magnificent A&E – about the British NHS no less.